With winter around the corner, it’s time for drivers to prepare for icy roads and snowy conditions. This includes ordering snow tires, dusting off that old window scraper and finding a warm hat. Some may think that October is too early to worry about the winter. That is until they realize many snowfighting maintenance crews have already been preparing for months — almost as soon as the previous winter ended. The department starts by taking an inventory of the equipment it still has so officials can purchase what it doesn’t. 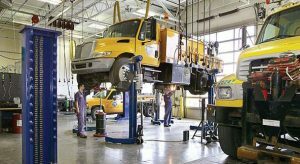 This includes warning lights, backup alarms, hydraulic equipment and whatever else it might need. Just as long as each specific type of equipment is the same. 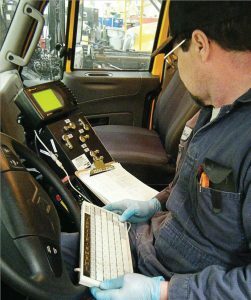 “We have the same equipment installed on virtually every truck,” Tews said. “It makes it a lot easier for our guys to repair things.” Next, it’s time to get equipment ready for storage. But it doesn’t stop there. Workers also seal up all hydraulic and electric connections and grease up equipment so that it’s fresh and ready to be used the following fall. Chlorides are washed off all equipment. In the summer, the crew will then begin to work on major repairs that they didn’t have time for in the winter as well as preventative maintenance. 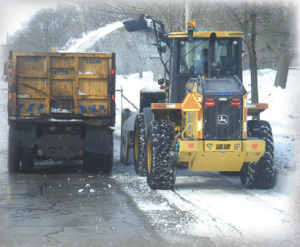 By the end of the summer, a snowfighting maintenance crew should make sure that it has enough major parts. At this time, it’s also a good idea to reach out to other local municipalities that way if the snowfighting crew runs out of parts, it can borrow some. Then in the fall start mounting equipment and make sure everyone on the team is trained and up to speed on procedures so that when winter finally hits, everybody is ready to go. It’s also important to establish media contacts with television and radio stations. These contacts allow fleet managers to quickly notify the public in case of a snow emergency. Another effective way to reach the public is to have notifications pushed out to the community on social media outlets. “We’re very happily obliged anybody who wants to get (social media) notifications,” Tews said. Not only is Tews told what weather is coming, but he is also informed on what the temperature will be at the start of a snowstorm and during it, when the snowstorm should end and other pertinent information. “Dew points are extremely important to us because we need to use them to determine how much salt to put out on a per lane and mile basis,” he said. If a snowfighting crew uses too much salt, it could create problems. For instance, if weather services have told Tews to expect 4 inches of snow to fall, not only does he prepare for 4 inches, but he will also prepare for 8 inches. 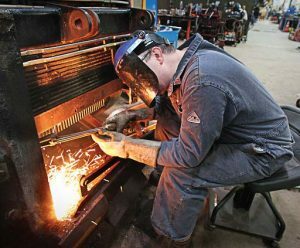 In some cases, Milwaukee will even call upon private vendors that they have on retainer to provide extra equipment. Another important aspect of effective snowfighting is to use the best plow features. For example, Milwaukee will only purchase plows that are coated with two-part epoxy paint. That way, snow will roll in front of them. Everything that Tews and his crew uses has a story behind it, and over the years, they have figured out what works best for them, but they aren’t done trying to improve. “The best thing that you can do is talk to your people — the guys who are doing the work — and get their best ideas and suggestions,” he said. At the end of the day, it’s up to each snowfighting crew to figure out what equipment and procedures will help it be successful.